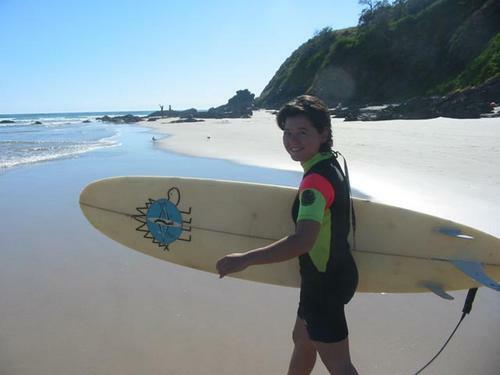 Mei Lin all dressed up for surfing heading out at Watego Beach Byron Bay. She did pretty good but no one was watching on her best waves. Sure! !